Angela Batey is recognized as a prominent conductor, clinician, adjudicator and teacher whose wide variety of experience encompasses professional, university, high school, community and church choruses. Dr. Batey is Associate Director for Graduate Studies at the University of Tennessee School of Music and Director of Choral Activities. She is also honored to be the James R. Cox Professor of Music. 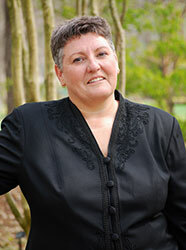 She conducts the Chamber Singers and teaches conducting courses at the graduate levels. Dr. Batey is also Director of Music at Farragut Presbyterian Church. She is Past-President of the Tennessee American Choral Directors Association and is currently serving on the Executive Board of Southern Division ACDA. Batey has been Associate Conductor of Schola Cantorum of Florida, a professional chorus, Associate Music Director of the Florida Ambassadors of Music, and Festival Director of the International Cathedral Music Festival. Dr. Batey has appeared as a clinician for the American Choral Directors Association, South Carolina Music Educators Association, Florida Vocal Association, East Tennessee Vocal Association, West Virginia Vocal Association, Georgia Vocal Association, and is a frequent adjudicator, clinician and guest conductor of choral festivals, honor choirs and educational workshops. Her concern for excellence in education is the focal point of her teaching career. Dr. Batey holds two degrees from Birmingham-Southern College in Music Education and Musical Theatre, a master’s degree from The Florida State University in Music Education and the Doctor of Musical Arts degree in Choral Conducting from the University of South Carolina. In addition, she has studied conducting with Hugh Thomas, Joseph Flummerfelt, Robert Shaw, Colleen Kirk, Clayton Krehbiel, Andre Thomas, Don V Moses and Larry Wyatt. Tami Newsom is an accomplished musician and choral director, proficient on a variety of instruments including the piano, organ, flute, and mountain dulcimer. 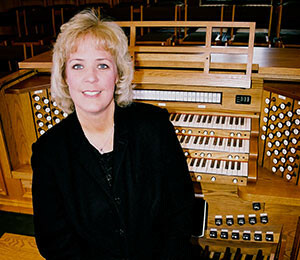 She is Past Dean of the Knoxville Chapter of the American Guild of Organists. Ms. Newsom’s accomplishments are many and she has performed a large number of music from all genres. She first began her musical career at the age of 6, learning to play piano. At age 13, under the guidance and tutelage of her music instructors, Robbie Roseberry and Peter Picerno, she began playing the organ at First Cumberland Presbyterian in Memphis, where she remained for 25 years. As an accomplished singer, Ms. Newsom was a member of a Memphis based auditioned chorus group called The Wolf River Singers. Simultaneously, she was part of their elite Ensemble Singer program. She has sat in as a juried member in the euphonium section of many music students’ final exams. A one year appointment as the Organist at Resurrection Catholic Church in Memphis, preceded Ms. Newsom’s transition to the Choral Director/Organist at First Cumberland Presbyterian in Oak Ridge,Tennessee. She became Organist at Farragut Presbyterian Church on January 1, 2000. With over 30 years of experience in a wide variety of ecumenical denominations, Ms. Newsom is also committed to quality music within the worship experience. Ms. Newsom’s other interests lie in her previous career in the medico-legal setting. In 1985 she began working at the Medical Examiner’s office and Regional Forensic Center in Memphis, Tennessee, where she also served as Office Manager for the Medical Examiner’s office and Toxicology Laboratory. After setting up the Regional Forensic Center in Chattanooga, Tennessee, she took a position as Administrator at the Regional Forensic Center in Knoxville, where among her many duties she also coordinated numerous forensic meetings and conferences with students, residents, law enforcement officers, and medico-legal personnel. After 20 years in the medical field, Ms. Newsom began a new career as a full-time student at the University of Tennessee School of Music. A recipient of multiple music scholarships, she is completing degrees in Sacred Music, Religious Studies, and Judaic Studies.